The biggest dice game around was just a few miles down the road when Jimmy Vaccaro was growing up in the Pittsburgh area. So was Comet News in Braddock, where those in the know slipped behind the green door into a back room where bookies offered action on both ponies and games. The longtime Las Vegas oddsmaker still likes to drive by the now shuttered Comet when he has time. It reminds him of his youth, and how much things have changed in his lifetime. And change they have, more than Vaccaro ever thought possible. The bets are legal now, placed at automated kiosks instead of handed to back room bookies. Vaccaro helps market them at the Rivers casino, just a field goal away from Heinz Field and a short drive from where he grew up. He’s already got a Super Bowl under his belt in the brave new world of sports betting in Pennsylvania. And on Thursday, Vaccaro will watch as March Madness kicks off for the first time since the Supreme Court allowed states last year to begin offering sports betting that Nevada owned for the better part of a century. It may not exactly scream Las Vegas at the Rivers casino, but the scene will be the same. Hundreds of bettors and basketball fans will jam an upstairs ballroom, where they can eat, drink – and place their bets – in real time as the NCAA Tournament kicks off. That Super Bowl was the first where sports bets could be legally taken in Pennsylvania, and there was no shortage of action. Sports betting began in November and the handle in Pennsylvania was $31.5 million in February, with $8.1 million of that bet at Rivers. 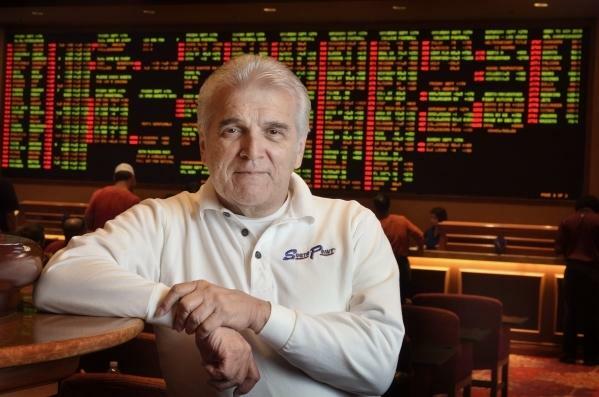 Vaccaro had been content helping run the sports book at the South Point hotel in Las Vegas under owner Michael Gaughan, who gave him his first entry into the bookkeeping business in the 1970s. Vaccaro also ran the sports book at the Mirage when it opened in the late 1980s and had a reputation as a legendary oddsmaker who wasn’t afraid to take big bets from the wise guys. It was Vaccaro who helped pave the way for proposition bets by offering up matchups between Michael Jordan’s scoring and the Super Bowl. Prop bets became such a phenomenon that more than 400 of them are offered on the Super Bowl at some books, and the win from them is sometimes the difference between a winning and losing Super Bowl in the books . Vaccaro is also famous for offering 42-1 odds on Mike Tyson when he was famously upset by Buster Douglas in Japan in 1990. But the opportunity to return home was too good to pass up, even if the sports betting market outside of Nevada hadn’t really been tested. And Vaccaro – whose official job is director of sports relations – is finding things in Pittsburgh to be much like they are in Las Vegas, minus some of the glitz and glamour. The casino at the Rivers – even with a temporary sports book – is a far cry from the back room of the Comet where Vaccaro made his bets growing up in nearby Trafford. The store was about halfway between Trafford and Pittsburgh, so when he and his friends would go into the city to see a college basketball doubleheader or to Forbes Field for the Pirates they would stop and place a wager at the Comet. The mills don’t go as well as they used to, but a lot of things have changed since Vaccaro left in 1970. Bets that used to be made in smoky rooms behind locked doors are now fed into computers at kiosks, and the people setting the odds are in front of computers in Europe. And a hometown boy who made it big in Las Vegas is somehow still in the middle of it all.